Tips for a cheap, affordable safari in Tanzania. Arusha the Tanzania safari capital. through Southern and Eastern Africa. Budget safaris in Tanzania are not really cheap. They can´t be, cause game parks fees (specially in northern circuit) are expensive, 45-70 $/pp (24 hours). Then had accommodation (10 $/pp minimum outside the parks, cause inside it´s 30$/pp/night camping! ), transport, food, car fees... That´s why a safari tour is Tanzania nowdays is high price, even if you go on your own car. True, offer in Arusha is big, hundred of safari companies. Arusha is the Tanzania safari capital. With Kilimanjaro International Airport (KIA) 40 km east, the famous protected areas 100-150 km west and Nairobi 270 km north, Arusha sees many tourists around. It´s a big town, nothing to see there (juts Mount Meru views). The place to negociate your northern safari tour. Tanzania northern circuit game parks: Ngorongoro, Serengeti, super famous and visited areas, Manyara and Tangarire. The most popular and visited parks of Tanzania. They are in Arusha area, but it will take a while to drive to the gates, around 2 or 3 hours. There are always many tourists and jeeps around, specially during high season (june-september) so don´t expect real wilderness and emptiness in those parks! All jeeps nowdays have radios and you can´t imagine the traffic jams around lions! How much cost a budget safari tour in Arusha? Prices in Arusha are more o less fixed, starting from 150 $/pp/day and usually based in a 3 days/2 nights tour and it will be hard to make the price lower. Final price usually depends of the parks where you are going (Serengeti 60$ and Ngorongoro 70$ are much more expensive than Manyara and Tarangire 45$ fee), the quality of service (transport, room, food, etc. ), season of the year and if more people have already booked the tour (this will give you the opportunity to bargain more with the agency). Usually, each person of your group will have paid a different price, just ask them, depending of your negatiation skills. Walk around Arusha and ask in the offices. With a "budget" tour, you will probably travel in a 6 passengers jeep, have a basic room in a camp near the main road (outside the parks, don´t expect wild animals around you), a do around 3 h game drive in each park. So, in fact, quite limited wild life spotting for all the money you will pay! Tanzania, Kenya or other Africa countries for a budget safari? It seems that safari tours in Kenya, from Nairobi heading to Masai-Mara and Nakuru NP, can be less expensive, for 100-120 $/pp/day and people complain less about the service in Kenya than in Tanzania. But, if looking for something really cheap and have more freedom, head to southern Africa: game park fees are much lower (10-20 $ in average), good maps, easy and cheap to rent a car in South Africa and travel around neighbor countries like Botswana and Namibia, wonderful camps (with pools). We loved so much being the explorers, discover by ourselves the animals (no jeeps, no tours, no radios, no navigation, fantastic!). This is what we did and in average it cost us 30$/pp/day, self-drive with freedom (even around 10h game driving). What about booking my Tanzania budget safari online? Cheaper in advance? Not really, usually online bookings are more expensive. But, now you know how much it can cost directly in Arusha so you can always try to negotiate. And always check well about the company... and about how much money you need to pay in advance... It can be risky with budget tours and smaller companies! We really think it´s better to book your budget safari tour in Arusha once there. Be carefull with safari scams in Tanzania. It´s a common practice, to try to cheat tourists. Be carefull when you book and pay for a safari tour. At the Arusha tourist office, they have a list of safari companies and the ones to avoid too! Ask well about all the conditions of the tour: kind of transport (4x4 or van), accommodation and location (room or tent), parks you will visit, game drive duration in each park, fees included, food&water (how many litters), tips for guide-cook, etc. Reclaim if any problem with a tour: first with the company, also tell the Arusha tourist office, write references in the internet... to help other travellers. Bad reputation will stop them abusing. Rent a car in Arusha and do self-drive safaris. It´s not very usual to rent a car in Tanzania and it can really be expensive (more than 100 $/day in average). In Arusha, easily you could get a 4x4+driver around 150 - 200 US$/day, try to talk directly to drivers, you will see many jeeps around Arusha and bargain, maybe the price can go lower. It can be interesting if you are a group (at least 4), sharing the costs and having more freedom than on an organised tour. For sure you´ll do longer game drives! Remember that costs will be: rental+petrol (around 1$/l)+car fee in park (20.000 Sh (10 $) for less 2t and Tanzania car (40$ foreign) and 35.000 Sh (150 $ foreign) for heavier)+ person fee in park+accommodation (you should be able to camp for 10-15$/pp/night in tourists camps outside the park... even to get a cheaper room in small towns)+food. For Manyara and Tangarire NP, a normal sedan car is OK and should be cheaper. Anyway... not many independent travellers head to game parks in Tanzania... or Kenya...or Eastern Africa... it´s even hard to get a map! Is Tanzania southern circuit more affordable? Not really. There are a few cheaper parks in Tanzania, with 30 $/pp entrance fees (+10$/car) and camps outside the gates (not to pay the 30$/night camping inside), like Ruaha National Park (120 km west of Iringa, camps in Tungamalenga village) or Mikumi National Park (the closest park to Dar Es Salaam,150 km south of Morogoro, local lodges in Mikumi town) or remote Katavi National Park(access and accommodation in Sitalike). So visiting these parks can be cheaper, less crowded and very interesting specially if you have a car, on your own. But, if you have to join a group, as there are less tourists and offer is more limited, it will be hard to get a good price for the safari tour or transport inside the park.The Selous Game Reserve is huge (but in fact 95% is a private and exclusive reserve) and expensive, with a 70 $/pp entrance fee. The Tazara train Dar-Mbeya-Zambia crosses the park. What about seeing chimpanzees in Tanzania? Cheaper? No, it´s really expensive. Entrance fee for Gombe National Park is 100$/pp and Mahale National Park is 80 $! And it´s far away, in the Kigoma-Lake Tanganika area and you have to take a boat which is going to cost a lot too. In Uganda, tracking the chimps is not that crazy expensive (around 50$). Note: the main road Iringa-Morogoro crosses the Mikumi NP without fees. From the bus, we saw elephants, zebras, wildbeests and impalas, for free! That´s all the wild life we saw crossing Tanzania, in 3.500 km! Disappointed! But many baobabs! And a few masais! Those are the official prices to enter Manyara NP, Tarangire NP, Ngorongoro Conservation Area and Serengeti NP. Prices are quite expensive, that´s the main reason why it´s almost impossible to do a cheap safari in northern Tanzania. You can also visit on your own, if you have a car, without a tour. Fees are valid for 24 hours. Car fee: 10$ (40-150$ if foreign). Normal sedan car is Ok for this park. Camping inside the park: 30 $/pp. More for rooms (concessions). Manyara NP lies west of Lake Manyara (50 km long lake), it´s a small park. Main access is just outside Mto Wa Mbu (110 km west of Arusha). We also saw a sign with another access south, on the Babati- Mto Wa Mbu road, but maybe only for exit. Mto Wa Mbu: accommodation (lodges and camps) avalaible in the area, outside the park, not as expensive as inside. Many of the northern circuit budget safari tours stay in these camps. Car fee: 10$ (40-150$ if foreign). It seems that a normal sedan car is Ok for this park. Camping inside the park is 30 $/pp. More for rooms (concessions). 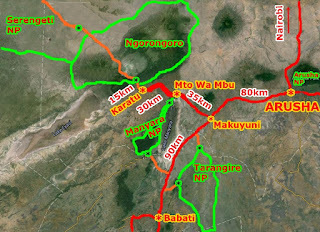 Access is just 25 km south of Makuyuni (which is 80 km from Arusha and 35 km from Mto Wa Mbu), on the Makuyuni- Babati road. We also saw a sign with an access 35 km north of Babati (maybe only for exit). Babati and Mto Wa Mbu: accomodation avalaible around this towns, outside the park (not as expensive). Entrance price: 50 $/pp. Extra fee: +20 $/pp if going down to the crater (20 km diameter and 200 m high). Car fee: 40 $. Extra fee: +200 $/car crater!!! Camping inside the conservation area is 30 $/pp, 50 $/pp for the special camps (remote but no services!). 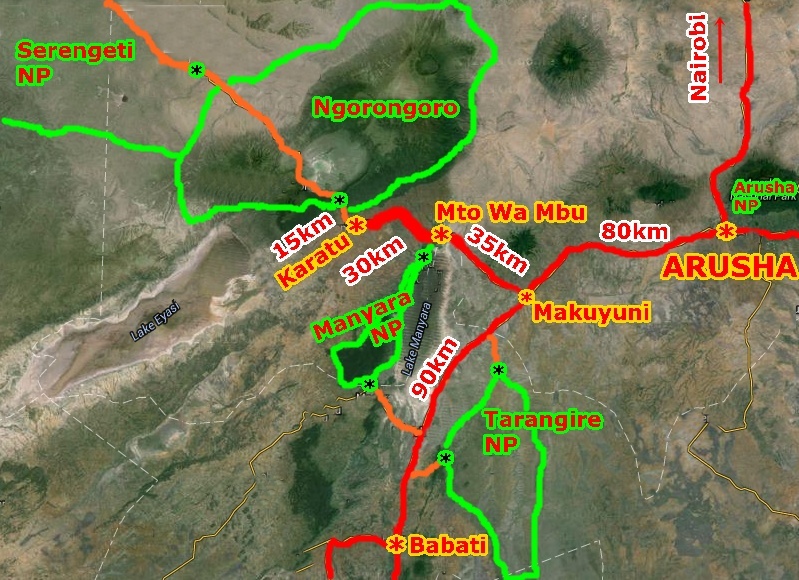 Access is 15 km west of Karatu (which is 150 km west of Arusha, 30 km from Mto Wa Mbu).You will need a 4x4. Very famous, so expect many jeeps around. Crowded crater! Camping is 30$/pp or 50$ in special camps. Juts west of the Ngorongoro Area comes the Serengeti (another gate, another fee). Also super famous park so many safari tours around. Keep in mind that if you access Serengeti from Karatu you will have first to pay the Ngorongoro fee! If just wanting to visit Serengeti and save these fees, you will have to use the west gates, from Mwanza- Musoma road (Lake Victoria), the gate is near Bunda (around 150 km north of Mwanza). On the Kenya side, it´s the super famous Masai-Mara (smaller, different conservation areas, fees 70-80$/pp). Karatu: you can find all kind of accommodation around this town, from cheap rooms to luxury camps. There´s public transport from Arusha to all these towns (Karatu, MtoWa Mbu, Babati), close the parks gates. 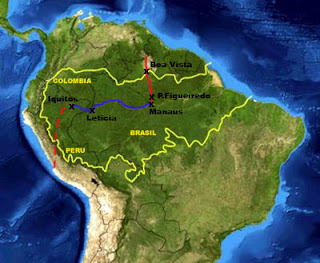 But you will need a private car to visit the protected areas. And don´t expect to find too many cheap cars around these towns to bring you inside. Migrations in Masai Mara & Serengeti: no borders and no fences for wild animals! Famous for the Mara River crossing, with thousand of wildbeests. July and august is the up north migration season and October the down south route. These are the important dates to know. So depending of what month of the year, animals will more abundant in Kenya or in Tanzania. Keep this well in mind! 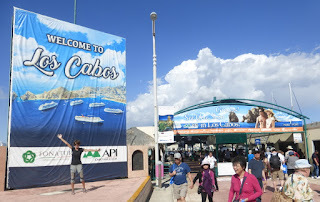 Summer gets really very crowded of tourists, expect even higher prices. The Sand River Gate (Tanzania border, to Serengeti) is usually closed to visitors. ¿Is it possible to cross Ngorongoro and Serengeti areas in public transport? Yes, you can, there are buses from Arusha to Bunda-Lake Victoria (departure around 5:30 from Arusha). But it will be crazy expensive as foreigners have to pay entrance fees of the protected areas crossed (like doing a normal safari and maybe seeing no animals!). That means 110 $/pp + bus ticket! It´s Tanzania! Confirmed, we checked at the Arusha bus station and at the Ngorongoro office in Arusha. Crazy! Entrance fee: 45 $/pp (24 hours). Car fee: 10$ (40-150$ if foreign). Access gate is 10 km from Usa River which is 20 km east of Arusha. Momela Lakes, Ngurdoto crater, Small Serengeti, wild life (birds, monkeys, buffalos, giraffes, etc.) and access to Mount Meru top. It seems to be OK with a normal car. It looks really steep. It´s not as expensive as higher and snowy Kilimanjaro but still a big mountain! Good point: you can climb independtly, no guides or tour needed like in Kilimanjaro. And you can see Kilimanjaro from its top. 45 $/pp/12 hours! Add a rescue fee of 20$ too.You will have to pay for a ranger, 15$/group.A guide is not compulsory (guide fee 20$). 3 days minimum (climbing at night early morning on 3rd day and then down all the way). Access is via Momella gate and route (only one). Accommodation in the mountain: a bed in a hut or camping a both 30$/pp/night. Price for climbing Mount Meru top: at least around 350 $/pp! 3 times less than Kilimanjaro, but still a lot of money!. Up too you! All around Arusha, oustide the national parks, there are now many created attractions to visit and activities to do: a waterfall, a village, a coffee plantation, a masai village, etc. Expect to pay for everything! And if you go on your own around these "cultural tourism" places, for sure you´ll find “touts” annoying you if you just want to walk alone. Good luck if heading to villages like Ilkiding´a or Ng´iresi (7 km north of Arusha, Meru area). It seems that even now there are gates in some places, we saw a notice at the tourist office with fees. - Lake Natron: 15 $ gate fee. 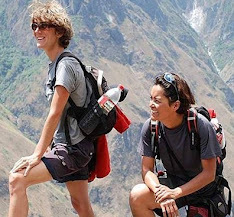 - Climbing Oldonyo Lengai: 100 $/group of 2/3 people. We didn´t go to these places. Arusha is a dusty, crowded and noisy town, with a few souvenirs shops and markets around the clock tower (you will find the same stuff everywhere in Tanzania). So better go outside. Just take a dala-dala in Arusha center and go for a walk around the villages close to town. Hilly area (above 1.000 m high, with banana and coffee plantations), good views of Mount Meru (at least at the beginning of march, the mountain was clear). For example, take a dala-dala to Masai Camp (east of Arusha center, 10 min, 400 Sh) and climb the road in front of it. Rural atmosphere and free views of Mount Meru! You will see many masai villages and people on the road west from Arusha, just from the bus... and also in Zanzibar beaches! Arusha is well connected with main Tanzania towns. - Arusha- Nairobi: 6 h, from 15.000 sh (10$), different buses (they will maybe try to charge you a special foreigner price). Tourist shuttles for 20$. Also plenty of vans going to the Kenya Border-Namanga for 4.500 Sh and then from the border to Nairobi many matutus (vans). - Moshi – Arusha: 3.000 Sh, 2 h. All day long. - Arusha- Babati: 6.500 Sh, 2h15 (170 km, good tarred road). Many departures, all day long, most of the buses continue to Singida. - Arusha- Musoma: many buses go via Kenya (Nairobi) and you will need a Kenyan visa. If not, you will have to cross the protected areas (110$ fees!). - Dala-dalas to the surrounding neighborhoods of Arusha depart from the market area (just ask around, in some shop). 400 Sh. The central bus&dala-dala station in Arusha is crowded and small, and less organised than in other Tanzania towns. But we didn´t find it as terrible as some guide-books say, we had no problem in getting off the bus, ask for information about other destinations in the offices and go out. Also another western station (3 km west, in front of Shoprite), but not very used. At the Tourist Office of Arusha, you can find some information about transport by train (Tazara, Kigoma/Mwanza/Dar) and ferries (Tanganika, Zanzibar and Nyassa). Good to get an idea of the timetable and prices, but check again once in the place. Between Moshi and Arusha. All Moshi-Arusha buses stop at the small bus station of Merenani at the junction, from there just 6 km left to the airport (many taxis). Flight fares are not always convenient, compared with Nairobi´s airport (300 km north of KIA). Check! Keep in mind that Kenya and Tanzania visas cost 50$/each (single visa OK, cause East Africa Community) and local transport Arusha-Nairobi is around 10$/way. Rooms offer is big in Arusha. If looking for a cheap room, head north of the bus station, north of the stadium, around Levolosi Street there are many basic lodges. A double room in Monjes Lodge for exemple should be around 20.000 sh. Some travellers recommend us Arusha Backpackers, but not specially cheap (dorm around 15.000 Sha and a double room around 30.000 Sh). If you are looking for a relaxing place, you will have to pay much more or go to the surroundings. Arusha is quite noisy and dusty. Couchsurfing in Arusha: small community, many expats, who live outside the center.Also many local people, most of them working in the safari tours, so double check the references first. We stayed with Malou&Manue from France. Thanks! Local restaurants in the center and surrounds (many BBQ places) and also tourist restaurants (quite expensive). Many small shops and a few supermarkets in the center (there´s one in front of the Clock Tower). Bigger malls (Shoprite, west of town) are a few km away. Tap water is not good in Arusha. It´s a big town you will find everything you need. ATM´s, wifi, etc. We had no problems walking in Arusha, no people harassing us with tours or anything... just a few souvenirs sellers. OK! Tourist office in Arusha: there´s one just north of the Clock Tower. Free map of Arusha&Moshi. Information about “cultural tourism” and fees. List of safari companies and the ones to avoid too! But no price categories. Staff is not specially friendly and helpful. Ngorongoro Office in Arusha: just a few meters down the tourist office. Just a 3D map of the Ngorongoro Conservation Area, the staff is quite rude. I really like this post. It is very informative. Thank you so much for sharing this blog. I appreciate this blog. The content of this post is very nice and interesting. Thanks for such information about traveling to Tanzania and what I should expect during my visit there. I will surely make plans to tour this beautiful country. best explanations i ever find in the internet. thank you! Thanks for all these tips because we want to go to the safari soon and they will help us for sure! Thanks for sharing this with us! Some really amazing features. Good to see these helpful information here,Thanks lots for sharing them with us.